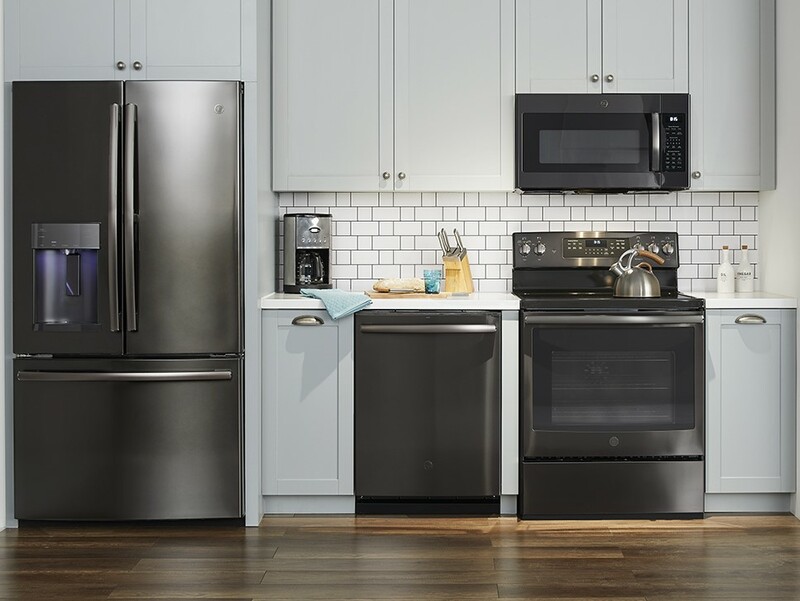 New GE Appliances Premium Finish Options @ Best Buy!! With more premium finishes than anyone, GE Appliances can offer the perfect match to your personal taste. From modern to traditional, comfortable to contemporary, you’ll find stylish options designed to go beyond the kitchen and compliment your entire home. First up, is the Stainless Steel that has a gloss finish which is elegant and timeless. The neutral, glossy finish creates an elegant, modern look. It is available across all GE Appliance brands. Next up, is the Black Stainless Steel which has a high gloss finish which is sleek and shiny. The Black Stainless Steel has a bold and sophisticated appearance. It is fingerprint resistant and easy to maintain and clean. This finish makes a statement in any kitchen and is available on GE and GE Profile Series Appliances. Next up, we have Slate which is a matte finish. This rich, stone-inspired finish provides a warm matte appearance. It is smudge proof, durable and can hold magnets. It is available for GE and GE Profile Series Appliances. Last but certainly not least is my personal favorite. Black Slate has a distinctive charcoal, matte finish. This dark matte contrasts bold color choices. It also holds magnets and is available on GE and GE Cafe Series Appliances. No matter what your personal preference, GE has the perfect match. Whether your looking for a refrigerator, wall oven, microwave, dishwasher, or ranges these finishes stand out and really bring the room together. The Slate finish blends perfectly with any of the following styles: coastal contemporary, modern eclectic, rustic chic, or classic contemporary. Aside from style and personal appearance, the functionality is also a huge plus. Smudge proof finishes resists fingerprints which means less time cleaning and wiping down appliances. Come check out your local Best Buy and see for yourself all the great deals on GE Appliances with customized finishes.